A little over two months ago our sister site 9to5Google reported that Instagram was releasing multiple account support for its Android app, and it now appears it will be coming to iOS too. The feature is not currently available to all users, but there are reports that many are already seeing it enabled. 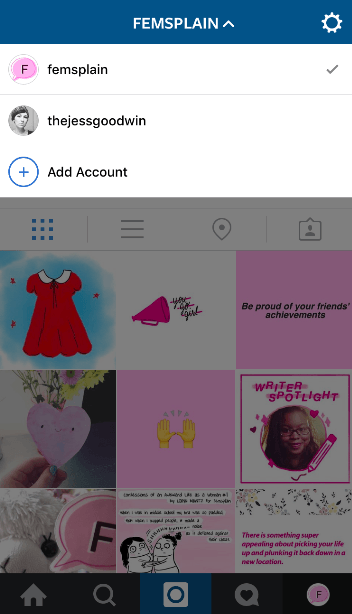 Multiple users are reporting to Latergramme that the option is now visible for them under the Options menu view. With this long-awaited feature being integrated into the Instagram iOS app, users no longer have to sign in and out of multiple accounts to manage all the different communities or businesses they are involved in. Time will tell if Instagram is rolling this out to everyone eventually, or if it will remain as a test feature (I’m sincerely hoping for the former). It appears that when a user is logged into multiple accounts, they have the ability to switch between them using the name displayed in the navigation bar. Once notifications come into from any of the various accounts, Instagram pushes them out formatted in a way that clearly indicates which account it relates too. Knowing the popularity of third-party Instagram accounts, and their removal from the App Store for violating privacy policies, this new feature is a long-awaited change for Instagram. If you see that your account has enabled this feature, let us know in the comments below.